Things to do in Venice Italy during your City Trip! I know you are curious about the things to do in Venice Italy, but when you prepare your city trip always look for the things that nobody else does. The unknown Venice! Most of you visit Venice for up to 3 days. View the most popular places of interest and then leave. Do you do this too? Or do you do like me? I think you should spend more time in this beautiful city! Venice has so much to offer. But well, a city trip is often no longer. So in September, I booked a three day trip to Venice. Although September is an excellent month to travel to Venice, it was still jam-packed with tourist. A reasonable period to have a city trip to Venice Italy. At significant tourist buildings such the St. Marco Basilica, where - despite the crowd of people – it still went smoothly. From the airport, we took the bus to Piazzale Roma, the heart of Venice. From here you can take buses to all kinds of directions into Italy. 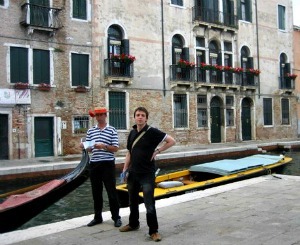 This location is your starting point to walk to the many Venice hotels. 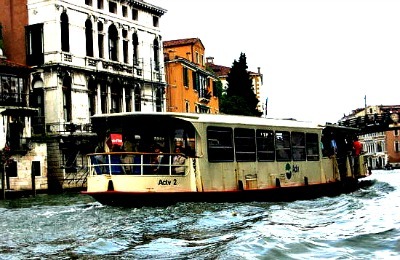 1 ticket to use on the Vaporetto boat will cost EUR 7,50 (75 minutes). Proper preparation is a necessity to explore the things to do in Venice Italy. A good guidebook is a must. The thing that I like to do most is to search for the ‘unknown Venice.’ So this time no major tourist sights. On a terrace, while enjoying a glass of wine, I first started to absorb the city… In the tiny alleys, I continued my walking and... Suddenly. I saw a small square where the friendly locals were sitting and chatting on the steps of their palazzo’s. A small terrace invited me to have a drink again. Hey, these are beautiful things to do in Venice Italy, right? The almost deserted square gave me a magnificent view of the old, often brightly colored houses. I looked for a shady spot because September can still be a hot month. Walking through the city, I find the best means of transport in Venice. You see and feel the city at its best when you walk, but a hop-on and hop-off boat is also nice!. Venice consists of 7 city districts. Take a look at your travel guide! Cannaregio, S. Croce, S. Polo, Dorsoduro, S. Marco, Castello, and Giudecca. I planned to discover two districts every day. Every night I went to eat deliciously in an unknown restaurant. Those restaurants are easy to find. The Venetians usually eat at 19:00. If you do not have a restaurant yet, you have to hurry! Otherwise, it is full. Often the little unknown restaurants are hidden in alleys. You have to search. The food is better, and the rates are normal when you compare this with the pasta and pizza dishes around the San Marco Square. For lovers of art and music, Venice is a true paradise! Many (unknown) churches have beautiful frescoes and during high season there are wonderful concerts. In some hidden alleys you will be surprised by street musicians, where afterward the old-fashioned hat goes around! 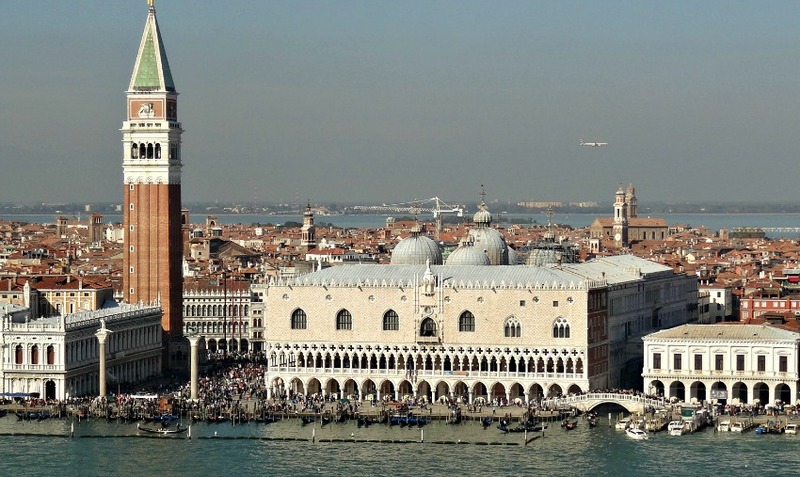 You've read about the Things to do in Venice Italy. There is plenty to explore as you see. Discover Venice on my site and get more information about this beautiful Italian city.